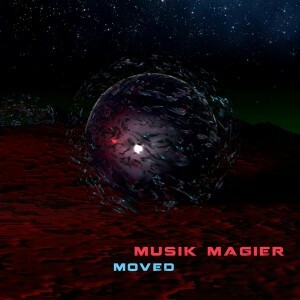 Cyan Music presents Moved, the second album by Musik Magier, a psytrance artist from Northern Germany. Continuing where Steht Drauf left off, Moved features eight tracks with an organic feel. Embedded within are many tricky little sounds and intricate sound motifs backed by powerful bass lines, ingenious breaks, and drifting atmospheres. The style is neither full-on nor minimal but some kind of unusual hybrid of both: pure multi-faceted psytrance. MP3 Download | FLAC Download | WAV Download · Download count: 8,560. Oy vey. I remember Musik Magier’s last album, so I’m giving this a listen and review when I can. Kudos!! I don’t know what these guys over at Cyan Labs were smoking, but I bet it was some good stuff!! Just listen to this album. All the tracks except for the last two, IMO are out of this world. Just… wow. This is some damn fine, deep and squishy psytrance. Nice work Musik Magier. More like this please! This album is really nice! The first six tracks are “Progressive Psy Trance” (or whatever it’s actually called) exactly the way I love it, I like “Wald und Wiesen Sound” especially. Like Tchud Trance mentioned, tracks 7 and 8 are different, but in no way bad at all! “No Map” reminded me of Haltya’s album “Electric Help Elves” a bit, very refreshing and different sound, and “The Hommage” could really be on “The Lonely Land of Tada” by Procs (if anybody knows that), a unique style I really like and think there should be more of. Keep up this kinda stuff! I am glad you like the Album.. and I am happy about all the good feedback. you exactly got the point of “the hommage” it is indeed a hommage to procs and the twisted “circus psy”.. I realy like his sound alot. I am glad that it transfers so well in that track. Fantastic album! A real masterpiece! Deep, touchy, moving! THANK YOU EKTOPLAZM! THANK YOU MUSIK MAGIER! Прекрасный альбом! Гармоничное сочетание ритма, гипнотических мелодий и психоделических тембров. Прослушал несколько раз. Лучшие треки: “Wald Und Wiesen Sound” и “No Map”. A wonderful album! The harmonious combination of rhythm, hypnotic melodies and psychedelic sounds. Listened to the song a few times. Best tracks: “Wald Und Wiesen Sound” and “No Map”. Great album, got me in an original psychedelic state. Du machst wunderschöne Musik, Du gehörst auf den Mainfloor bei der VOOV zum Beispiel. Also weiter so, ich höre gerne von Dir. most insteresting trance project I heard since a long time. you are really not afraid of experiment! thank you for the music and looking foraward hearing you on some festivals in germany! Hi, am in kerala from cochin. Every thing else great .! can plz upload new album plzzz… i like progressive type of your mixing. one of ma fav track “Construction Work” this types of beats i like plz send any older albums or album names. i hope this fine Thank u.